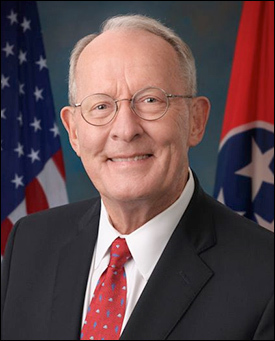 Dec. 19, 2018 — Last week, Tennessee Sen. Lamar Alexander’s (R) campaign released an internal survey that tested the three-term incumbent’s favorability ratings, which showed excellent results. Accompanying the release was the senator’s promise to announce his 2020 re-election decision before the end of the year. He kept the announcement promise, but his decision, which he announced Monday, proved surprising. Spending the money to conduct a poll and releasing the strong results is usually a prelude to announcing for re-election, but not in this case; Sen. Alexander made public his decision to retire in 2020. Tennessee voters will now elect another new senator for the second time in a two-year cycle. Sen. Bob Corker’s (R) retirement this year opened the door for Rep. Marsha Blackburn (R-Brentwood) to win the open 2018 campaign, but now potential Senate candidates will immediately get another chance. Tennessee’s vote history suggests that the eventual Republican nominee will begin the 2020 general election cycle in the favorite’s position. This year, Democrats fielded arguably their best possible candidate, former two-term Gov. Phil Bredesen, who left office with very favorable ratings and a strong record. But, even after matching Blackburn in spending, the former governor fell 55-44 percent in the general election. The result will likely dampen Democratic prospects for 2020. Aug. 3, 2018 — Often in politics when two candidates begin to square off against each other in a multi-candidate field, that pair loses and an opponent coming from the outside walks away with the prize. That model again happened last night in the Tennessee Republican primary. Businessman Bill Lee, the only candidate with no governmental experience, took advantage of his late polling surge and captured the GOP gubernatorial nomination in Thursday’s Volunteer State primary election. Lee’s victory was substantial, winning a 37-24-23-15 percent over businessman and former state Economic Development Commissioner Randy Boyd, US Rep. Diane Black (R-Gallatin), and state House Speaker Beth Harwell (R-Nashville). Lee will now oppose former Nashville Mayor Karl Dean, who easily won the Democratic gubernatorial primary with 75 percent of the vote. The open governor’s primary had been hotly contested. Rep. Black and Boyd had been leading in most polls, but Lee had made a major final push and became a late factor in the race. Most surveys had Rep. Black holding a slight advantage, but the polls had been hovering within the polling margin of error for several weeks. We saw that play out last night. Voter turnout heavily favored the Republicans to the point of more than doubling the Democratic participation rate. In the governor’s race, 785,969 Republicans voted as compared to 369,775 Democrats. Lee now becomes the heavy favorite to succeed term-limited Gov. Bill Haslam (R) in the fall general election. There was no suspense in the open US Senate race because Rep. Marsha Blackburn (R-Brentwood) and former Gov. Phil Bredesen (D) easily won their respective party nominations against only minor opposition, thus officially beginning a general election campaign that has already been proceeding for many weeks. In the House races, incumbents Phil Roe (R-Johnson City), Chuck Fleischmann (R-Chattanooga), Scott DesJarlais (R-South Pittsburg), and Steve Cohen (D-Memphis) all were easily re-nominated in percentages ranging from 70 (DesJarlais) to 91 (Cohen). Rep. Jim Cooper (D-Nashville) was the only incumbent House member in either party unopposed for re-nomination.